If you hang out on Craig's List long enough, you'll get lucky. You'll also see a lot of overpriced plastic furniture, but hey, that's what makes the hunt so much fun. 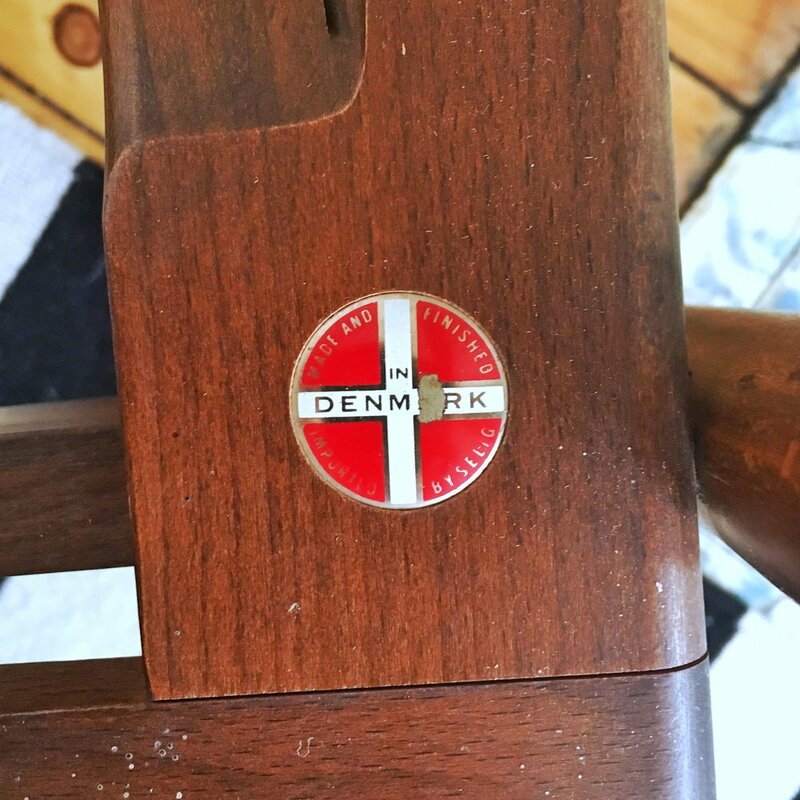 I struck gold last week when I came across this Danish chair. I put my negotiation skills to use and got this guy for a pretty good deal. 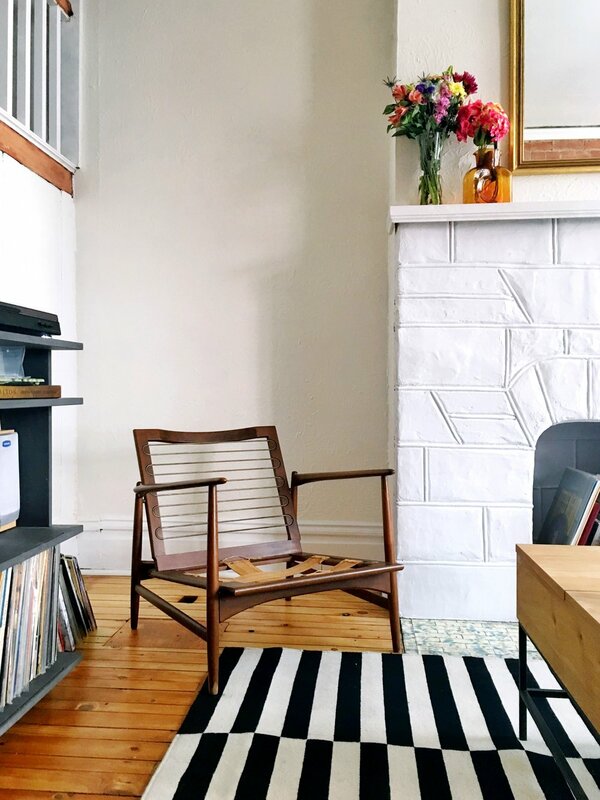 Best Craig's List advice I can give you: always negotiate the asking price. It's in very decent shape and at some point, I might touch up the blunders on the leg and a few dents in the arm. I ordered a set of navy cushions from cushionsource.com, which I've heard good things about. For the price point, I'm willing to give it a go. Until then, this guy is hanging out in the corner, waiting to be sat on.